Description Photo in Lake Oswego Review, 8/1/1974. 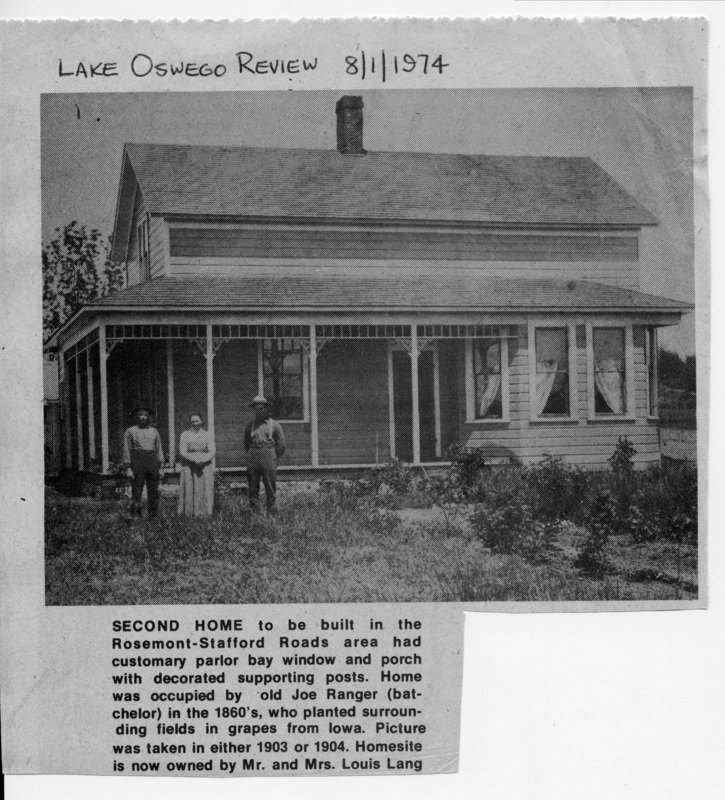 Caption: Second home to be built in the Rosemont-Stafford Roads area had customary parlor bay window and porch with decorated supporting posts. Home was occupied by old Joe Ranger (batchelor [sic]) in the 1860s, who planted surrounding fields in grapes from Iowa. Picture was taken in either 1903 or 1904. Homesite is now owned by Mr. and Mrs. Louis Lang. Physical Description H 6.25" X L 6"